Since starting low carb eating, I have been thinking of some ways to make my nutrition up a notch. One way I have done that is with tuna salad. 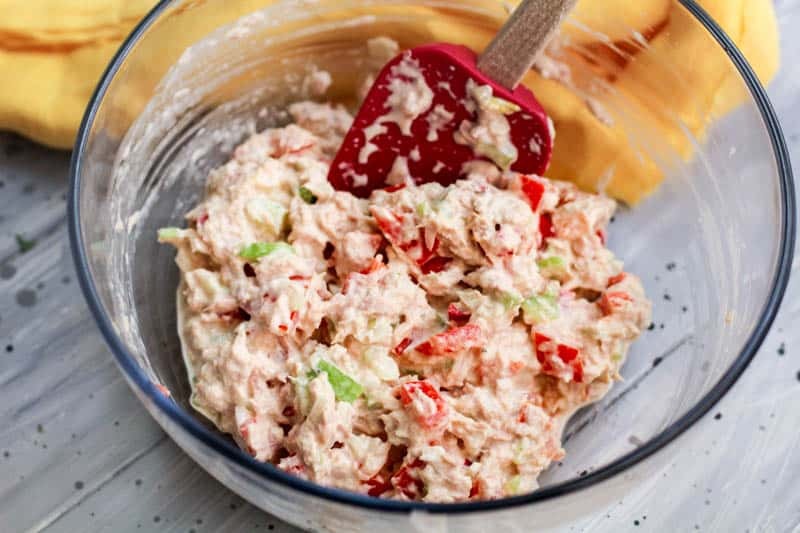 If you don’t know how to make tuna salad, then you’re missing out. I know how to make the best tuna salad you’ve ever had in your life. 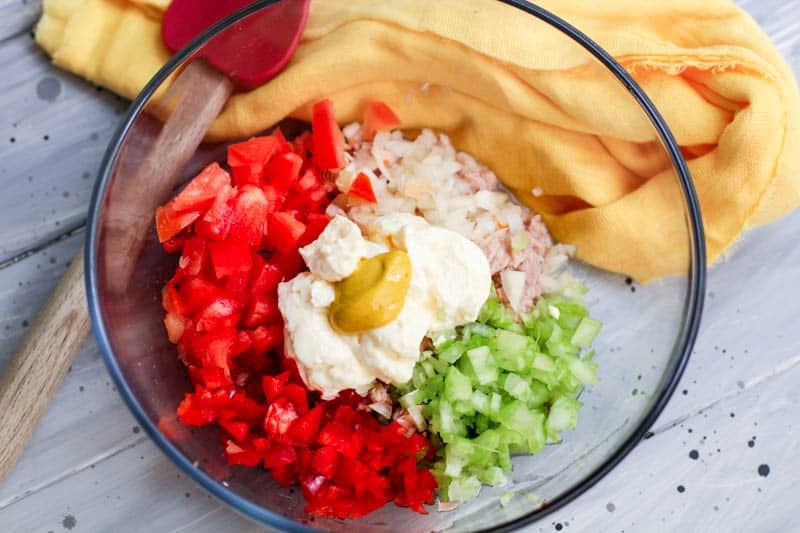 I’ve been in a binge of making easy salads and this healthy tuna salad recipe is helping me accomplish this task. If you’re wanting to make that healthier change, then these boats are the way to go. 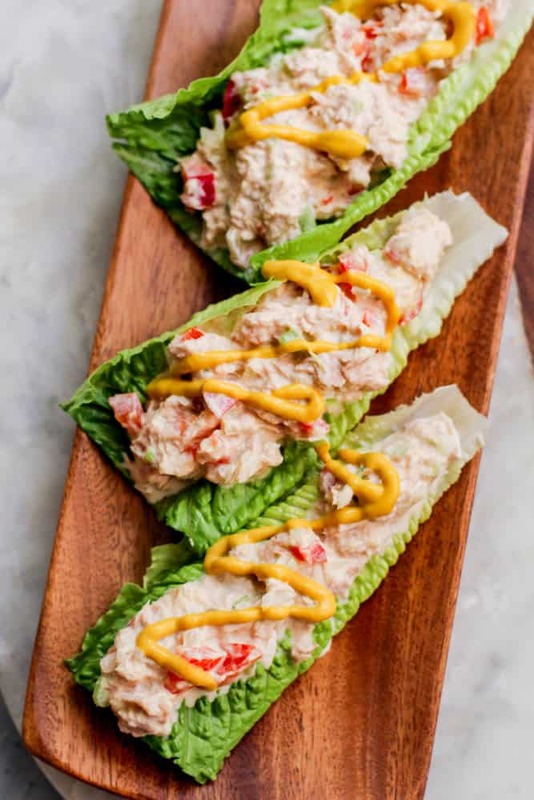 I like to change things up with my tuna salad and this is one way to do so. What do you put on tuna salad? 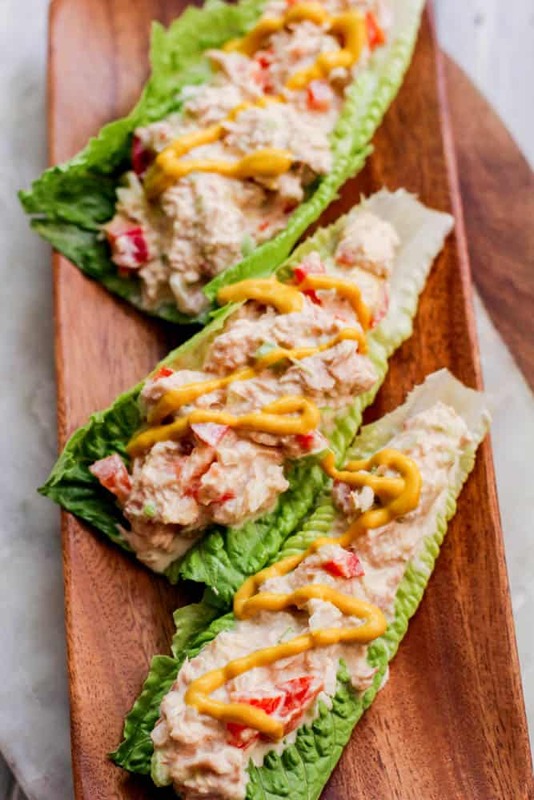 Well, I like to sprinkle a little cheese on mine but there are a lot of ways you can make this tuna salad recipe your own. I’m surprised by the fact that my kids love tuna salad and they always have! It’s such an inexpensive meal to make for them that this really makes my heart happy. 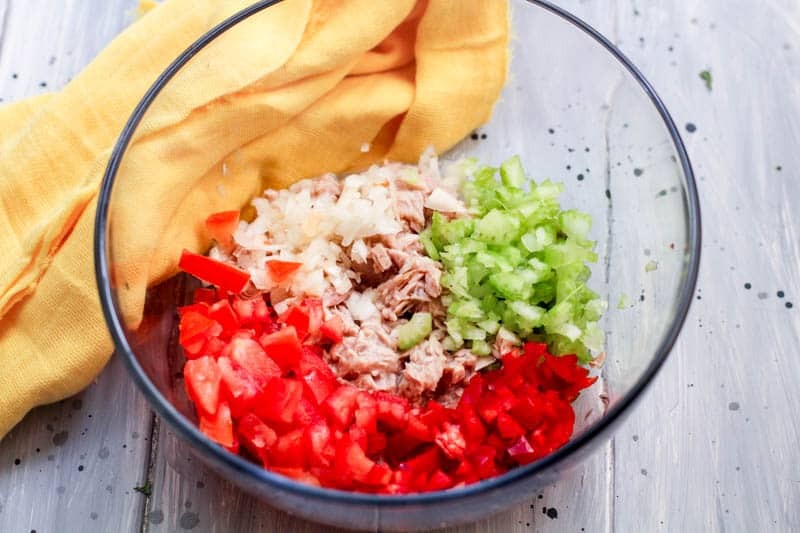 So, if you aren’t quite sure of what to make tonight for dinner, this easy tuna salad recipe should do the trick! I hope you’ll enjoy this recipe just as much as we do in my household. Let me know what you think! 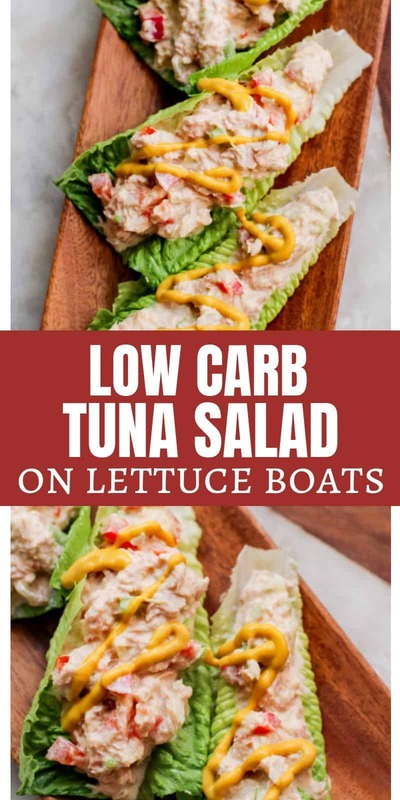 This healthy tuna salad recipe on lettuce boats is the perfect lunch or dinner idea for those on a keto diet. Moderate protein and low carb…you can't go wrong! In a medium bowl, mix together all ingredients -except for romaine lettuce. 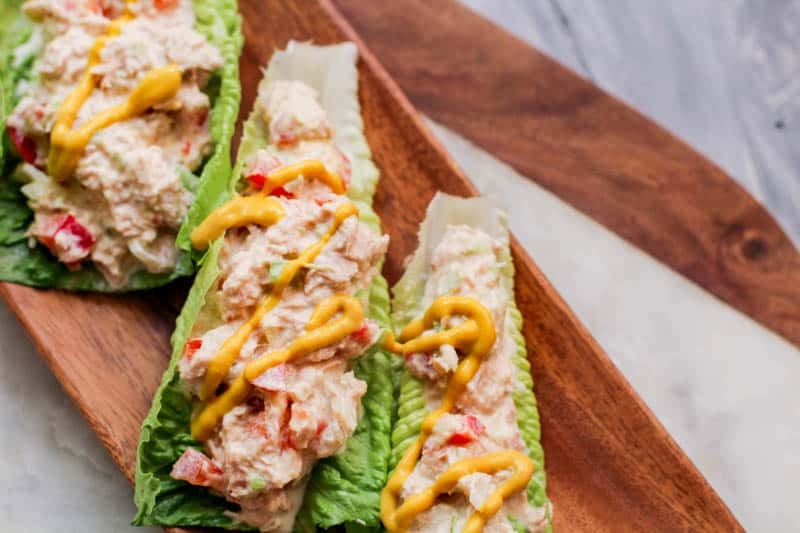 Spoon tuna mixture onto lettuce leaves and serve immediately. Be sure to print this recipe and add it to your keto recipe book!